Some companies are large enough to know the most standard practices for all types of development. However, other companies specialize in just one or two types of construction. There is a vast difference between these types of construction projects. The most common are residential and commercial. Some companies do work in both sectors. 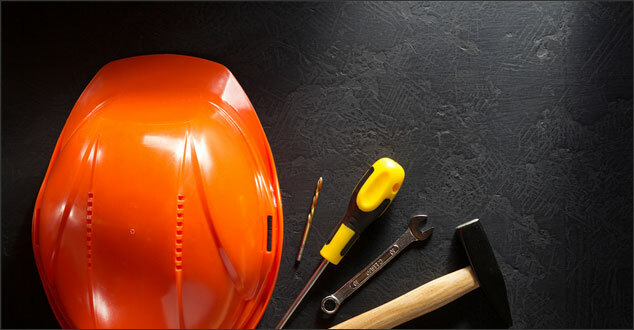 Renovations Roofing & Remodeling, Inc., we specialize in one aspect of construction for both sectors: roofing. We know our roofing backward and forward. From our standpoint, there are several significant differences between residential and commercial building. Residential, of course, refers to the construction of homes and buildings meant for living in. Commercial buildings can encompass a wide variety of construction meant for business: office buildings, warehouses, high-rises, and much more. Almost all homes are made of wood whereas many commercial buildings use steel for framing. This is because the cost of wood and steel are vastly different. Businesses can afford to erect buildings framed with steel, while the average homeowner can’t. The need for a good relationship with suppliers in commercial construction is paramount because the commercial buildings or developments are much larger and must be built to consistent specifications. Large scale equipment is rarely needed in residential building, even on the largest mansions. However, cranes are often required in commercial construction, as well as other specialized equipment that require highly-trained individuals to operate it. A traditional single-family home has many of the same specifications as every other house being built. The same is essentially true for residential buildings even if they are large apartment or condo complexes. Commercial buildings could be as diverse as a factory building is from an office high-rise. Often a commercial complex must be built with many different businesses in mind – from retail stores to restaurants to work-out facilities. Any construction involves making sure you are building to the codes outlined in building codes, and obtaining permits from the city, town or county in which you are building. Residential codes and permits are more limited in scope and number than commercial codes. The number of codes to which to adhere is a result of the many different aspects that make up a commercial building project. Just think about the safety regulations involved in installing an elevator or building a parking garage! Most construction projects need to be completed within a specific time-frame. Residential construction moves at a much slower pace. However, the investment of a homeowner is different than that of a business owner. Commercial clients will want to see a return on their investment much more quickly. Therefore, the pressure on commercial construction companies to consistently deliver the promised product on time is that much greater. In addition, a commercial construction company can manage an elaborate project and to complete it on time without cutting corners. Considerable differences exist between commercial and residential construction. Whatever you are looking for, make sure you have all the pertinent information about your chosen company’s track record of success! If your home or business is located in Southeast Michigan, please contact us today. We are here whenever you need us!